and artwork of all sorts. within 70 miles of the market. 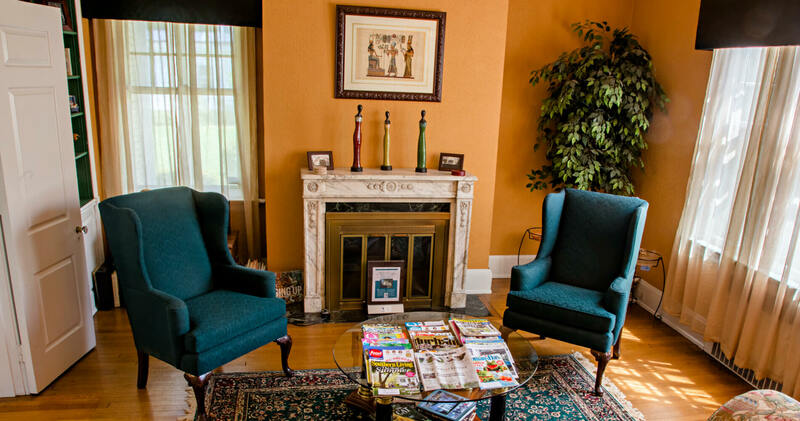 Call 919-667-3099 for any questions. From April to November, Saturdays from 8am to Noon. From December to March, Saturdays from 10am to Noon. From May to September, Wednesdays from 3:30pm to 6:30pm. 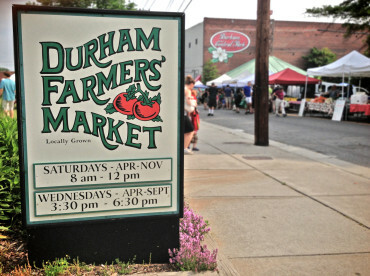 There are a few local Durham farms that offer small tours. Guests can select some of their delicious farm fresh food. Elodie Farms, owned and operated by Dave Artigues, is located on 21 acres in the Carolina Piedmont. The farm is named after Dave’s mother Elodie. Dave started building the dairy in 2002, converting a tobacco barn. The farms sell goat cheese to the public at the Durham Farmers Market. Many local restaurants and specialty stores serve the cheese, which is known for its quality and variety. In 2006, Elodie Farms introduced Dinners on the Porch, inviting local chefs to create meals that feature their cheeses. Farms is located at 9522 Hampton Road in Rougemont, NC. Call (919) 479-4606 for questions. End at 9522 Hampton Rd. 9522 HAMPTON ROAD is ON THE LEFT. as well as ten varieties of muscadine and scuppernong grapes in September. All their crops are pick-your-own. In the summer they are open for picking delicious blueberries and blackberries! Saturdays 7 a.m. – 12 noon. There is a minimum charge of $3 per person or $5 per family. (919) 544-3313 or their Facebook page. Take the first left on Herndon Road. Go 1/2 mile. Go 1/4 mile to farm on right. food trucks. In fact, Southern Living magazine named Durham the Tastiest Town in the South! This entry was posted in Uncategorized and tagged Durham, Durham Central Park, Durham Farmers' Market, Elodie Farms, Gourmet breakfasts, Herndon Hills Farm, Morehead Manor Bed & Breakfast, Snikroc Farm, Tastiest Town of the South by admin. Bookmark the permalink.